Handset player Sony Ericsson seemed to have caught the telecoms analyst and press community off guard on Thursday morning, calling an early press conference to announce its joint venture split, just as most interested parties were making their way to Nokia World in London. The owners of the handset joint venture, Sony and Ericsson, are to part company, with the Japanese electronics firm acquiring the 50 per cent share of the JV held by Sweden’s Ericsson for €1.05bn. But the surprise London press conference was vying for attention with Nokia World day two, kicking off just a few miles away. Still, most of the big news from Nokia came out on Wednesday, leaving the way open for Sony Ericsson to take the headlines today. Speaking to telecoms.com this morning, Ovum analyst, Adam Leach, said the move was “Good news for both parties and not entirely unexpected especially considering the trend towards services and content. This is where we’re seeing Google and Apple make moves,” he said. “Sony has a large content portfolio, so it makes sense to be able to control the devices this content is accessed on. It used to be that a phone was a phone and this was the area of focus for Sony Ericsson, while Sony concentrated on consumer electronics. But now that you can put a radio in anything this is not the case,” Leach said. Ericsson is on solid ground in the infrastructure space, so it doesn’t really need the handset division any more, especially as it’s not a core offering, while Sony is now better placed to integrate the Sony Ericsson offerings with its consumer electronics portfolio. According to Paul Lambert, senior analyst at Informa Telecoms & Media, Sony Ericsson’s failing, in a sense is that it has focussed on the mid section of the market, and while doing so hasn’t reacted to the trend of consumers gravitating to either the high-end (Apple and BlackBerry, and increasingly Samsung), or the low end. As such, Sony’s first task needs to be to focus Sony Ericsson clearly at a certain point in the market, rather than trying to offer something for everyone. “The move makes sense for Sony as the company will try and capitalise on full-ownership of the handset JV by aggressively integrating Sony Ericsson smartphone technology into its range of network-connected consumer electronics devices – including tablets, televisions and PCs. Although Sony has sufficiently good technology and expertise to make a success of a cross-device connectivity integration strategy, the market will wait to see if it can tap into consumer taste better than rivals, Apple and Samsung to name just two, and deliver incremental value to them as well as to its bottom line. Sony’s content assets could enable it to offer something to consumers rivals can’t, especially in the gaming arena. The new smartphones are all around media; video, pictures, music and gaming. That’s why it makes sense for Sony to absorb the business, because they have been putting more effort in than Ericsson. This latest development has also cast a spotlight on Ericsson’s chip JV, ST Ericsson. “The move will shake a big company, which is already making losses as it is going through a restructuring, and this will be a big blow for them. I think ST Ericsson is very highly likely to be absorbed by or merged with another company, as its only customers now are smaller Chinese handset vendors,” said Saadi. 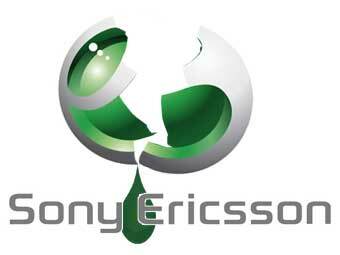 When Sony first created Sony Ericsson with Ericsson, it was Sony that really needed Ericsson, and not the other way around. Back at that time, Sony used to make the ugliest cellphones every, while Ericsson’s cellphones were the state of the art, and were directly competing witht the market leader (also at that time), Nokia. Now that we have Smartphones, Sony no longer needs Ericsson, as smartphones are very close in architecture to computers, and this is what Sony does! Ericsson also is no longer interested in pursuing a share in an over-saturated market, and would rather focus on its commercial division. I think Sony phones were always different in comparison of Ericsson from design, user friendly and technology points of views. Ericsson always has big and heavy phones (not really cell phones ==)). it’s impossible to compare a company like Sony with a lot of awesome products with Ericsson. I think in future we will have some really tech up-to-date cells from Sony.